A few hours before setting off on a murderous rampage through Bexleyheath high street, Nicola Edgington dialled 999. Edgington, 31, told the operator: ‘I need for the police to come because I have had a nervous breakdown before and I killed someone. ‘I need to go to a mental hospital. I don’t know what I’m gonna do next. Edgington was by then sitting in the A&E department of Queen Elizabeth Hospital in Woolwich waiting for staff to see her and transfer her to the psychiatric unit at Oxleas House. It was by now after 5am and she was beginning to get frustrated by the delay. In her second 999 call she said: ‘You need to come to Queen Elizabeth Hospital and take me into custody because I’m feeling very scared and paranoid and my psychiatrist has told me that when I am feeling like this I can be extremely dangerous. Edgington wasn’t satisfied and in a third call told the operator: ‘I’m in A&E at Queen Elizabeth. Now you really need to take me into custody please. ‘These people they’re just completely ignoring me. They won’t even phone the mental health people. ‘They won’t phone anyone, they won’t do anything for me at all. I really need you to take me into custody, yeah. Her warnings continued in her fourth call: ‘I’m a very dangerous schizophrenic and if you don’t come and help me I’m gonna end up hurting someone. Again she felt ignored. In her fifth and final call she said: ‘I’m dangerous at the moment, I’m very dangerous. ‘You know the last time I was feeling like this I killed someone, the last time I was feeling like this I killed, I killed my mum. Edgington was eventually seen by a psychiatric nurse at 5.30am but she was not transferred to the mental health until 6.30am. There was then a further delay while the night shift was replaced by the day shift. She set off by bus towards Bexleyheath, possibly intending to go to the Bracton Centre in Dartford, the unit which had treated her after she stabbed her 60 year-old mother Marion to death in 2005. Instead she went straight into a Wilkinsons shop and then an Asda to buy a knife, which she hid either in her bag or up her sleeve. It was 8.30am when Edgington spotted 22 year-old Kerry Clark waiting at a bus stop on the high street listening to music on her headphones. She attempted to stab Miss Clark but the young woman bravely grabbed the blade of the knife and managed to disarm her. Edgington coolly demanded the knife back but then walked off and snatched a second knife from a butcher’s shop across the road. Her next movements were witnessed by a passer-by who was able to give a running commentary to a 999 operator. Nicholas Morris was heard to say: ‘I’ve just witnessed a lady try to stab another lady with a knife… The girl was so lucky, the knife just missed her. Mr Morris is then heard running after Edgington as she turned round the corner into Albion Road near the bowling alley. He tells the operator: ‘She’s attacking another woman, she’s stabbing another woman with a knife. ‘I can’t get there…. she’s stabbing another woman. She’s bloody killing her. Oh my God, she’s f***ing killed her. For God’s sake. Edgington had repeatedly stabbed 58 year-old Sally Hodkin in the neck until her head was almost decapitated. 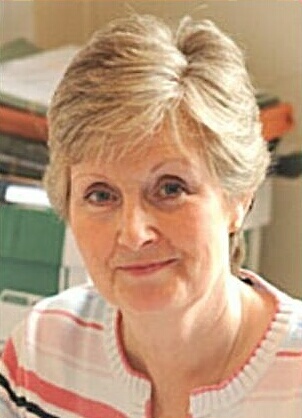 Mrs Hodkin, who was on her way to work as an accounts manager at a law firm, died almost instantly. Edgington was caught on CCTV running from the scene to a nearby tile centre where she was arrested. Detectives soon realised that Edgington had killed before – only to be released back into the community in September 2009. Edgington, a former pupil at Sackville School in East Grinstead, was a troubled child who attacked her churchgoing mother with a phone when she was just 15. She was shuttled between care homes because of her behaviour and also got involved in shoplifting. Edgington later had two sons with two different men but one of them was taken into care and both children ended up living in Jamaica with their fathers. Her mother Marion was terrified of her moods and had predicted her death at the hands of her daughter. One theory is that Nicole Edgington killed her mother Marion in revenge after being cut out of the will. On the night of the killing Edgington had been to the pub with her brother and sister but had been thrown out because of her bizarre behaviour which included demonstrating various Kung Fu moves. In a notebook she wrote down the names of Bin Laden, George Bush and Reggie Kray. 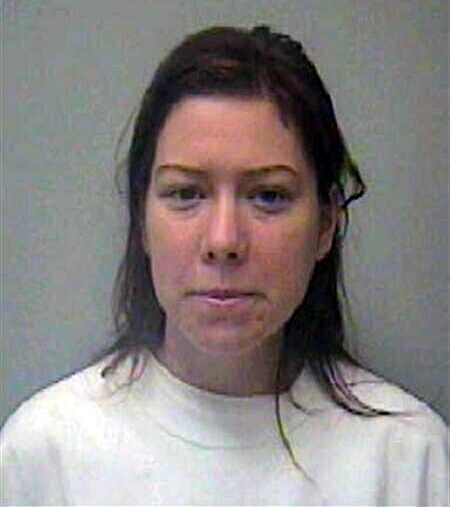 Edgington went back to her mother’s cottage alone in rural Forest Row, East Sussex, and stabbed her nine times. She left the body on the fold-up bed she slept in, with the bloodied knife on her chest. Edgington left her brother and sister to find the body and went on the run for two weeks. Following her arrest Edgington pleaded guilty to manslaughter due to diminished responsibility and on 23 October 2006 was detained indefinitely under sections 37 and 41 of the Mental Health Act. She was treated as an inpatient in a medium secure psychiatric facility by the Oxleas NHS Foundation Trust. Psychiatrist Dr Adrian Cree said he believed she was suffering from paranoid schizophrenia and experienced delusions – including the belief her ex-boyfriend was the father of her first child who had major plastic surgery. ‘She had a psychotic illness and needed to be in a hospital setting,’ he said. But less than three years later in September 2009 it was agreed she could be released under supervision. Edgington was given a supported housing association flat in Greenwich, south London, and visited every week by either her psychiatric nurse or her care worker. Her condition was also regularly reviewed by a consultant psychiatrist. Nurse Tanya Biebuyck told the court said Edgington seemed relaxed and showed no sign of mental illness on September 29, 2011. But a week later on 6 October Edgington became disturbed after contacting her brother Tom for the first time since killing their mother. She emailed him on Facebook using the name ‘Princess Nicole’, telling him she loved him, that she had recently suffered a miscarriage, and complained that she was not being looked after as well as their mother would have done. Hoping to renew their relationship, she also gave him her mobile phone number. But Tom, who had not spoken to his sister since his mother’s death, replied with a blunt message reading: ‘You stabbed her to death and left me to find the body. Two days later on 9 October she made a series of 999 calls claiming some ‘crackheads’ had got into her flat and stolen her keys, only to say she had found the keys. A few hours later at 3am on 10th October Edgington went to the Greenwich Express cars minicab office in Woolwich Road and asked to be taken to hospital. The driver noticed she appeared to be ‘paranoid’ and drooling at the mouth and eventually took her back to his office, where she cowered in the corner and asked the owner to call 999. The police took her to Queen Elizabeth Hospital for assessment at 4.30am and she told staff she had not slept for weeks and was hearing voices. Over the next hour she made the five warning calls to 999. During her trial at the Old Bailey she again denied murder on the grounds she was mentally ill. But this time psychiatrist Dr Philip Joseph concluded she was only suffering from a borderline personality disorder. The jury convicted her of murder and she was jailed for life with a minimum of 37 years before parole. The Recorder of London, judge Brian Barker QC, said: ‘However you look at it your actions… were a consistent and calculated course of criminal conduct. ‘You are manipulative and exceptionally dangerous. ‘I disagree that the responsibility for these acts can be laid at the door of others. ‘These were terrible acts and you must take responsibility for what you did. I cannot ignore the fact you have killed before and you have come as near as can be to having three deaths at your hand. Paul Hodkin said in a statement to the court that Edgington should never have been on the streets. He added: ‘That day my world fell apart. We had just come back from a holiday in Norfolk which Sally described as our best holiday ever. ‘I never had the chance to say goodbye to my wife who I have known and lived since she was 14. ‘There is not a day that goes by that I haven’t cried. Is there a cure for a broken heart? I don’t think so. ‘Sally was my world. I would pick her up each night, travel home together, cook dinner and talk about the day’s events. ‘Forty years of marriage gone, wiped out in seconds by someone who should never have been on the streets.